You have two options when sync'ing with Quickbooks. 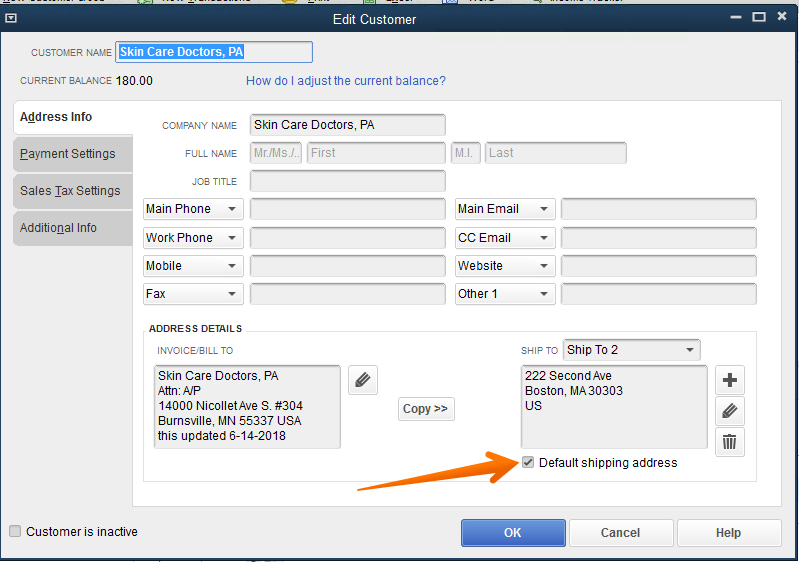 In your settings > Add ons you have the option to edit your customer records after you sync in Kickserv or in Quickbooks. If you decide to keep your Quickbooks as the master copy and lock the Kickserv customer after sync'ing that is one option and default option. The other option is to have Kickserv be the master and allow updating of your customer records after sync'ing in Kickserv. If you do keep the default then you will need to go to Quickbooks once in awhile to update a customer record. NOTE: make certain Ship To address has checked "Default shipping address"